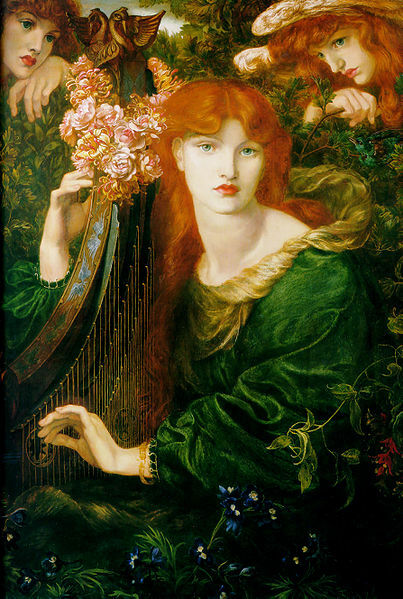 The Bower Meadow, painted by Dante Gabriel Rossetti in 1872. Featured in the foreground are Maria Spartali Stillman (left) and Alexa Wilding(right). I’m not sure about the women in the background. 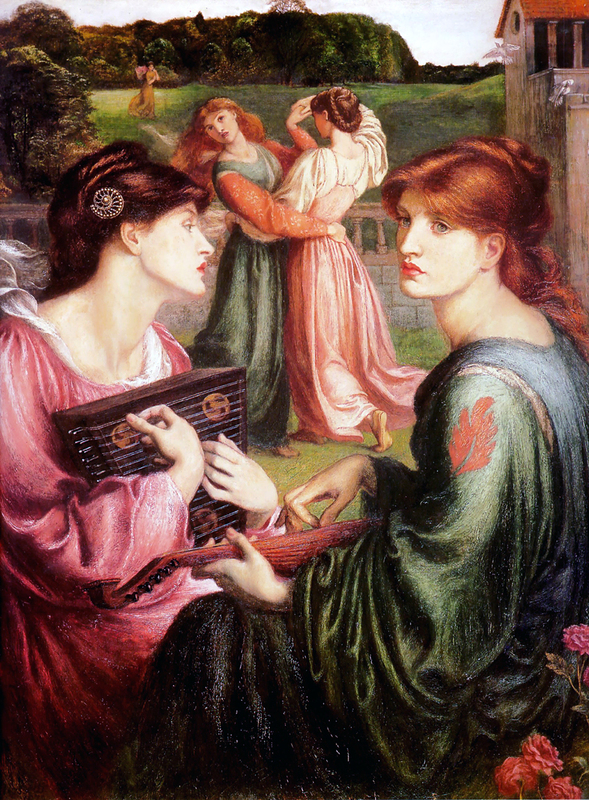 Musical instruments, such as the ones seen here, seem to figure prominently in many of Rossetti’s works Veronica Veronese, The Sea-Spell, La Ghirlandata to name a few. 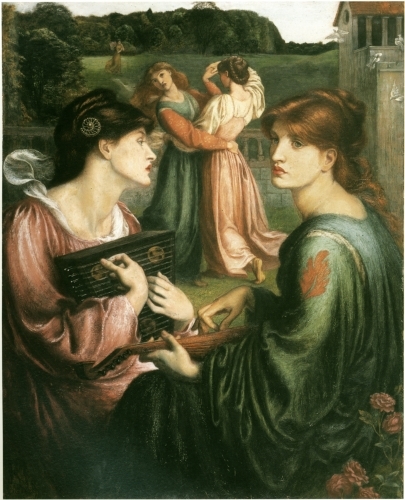 Maria Spartali Stillman, an artist in her own right, can also be seen in Rossetti’s A Vision of Fiammetta and Dante’s Dream. Stillman studied under artist Ford Madox Brown, along with his children. 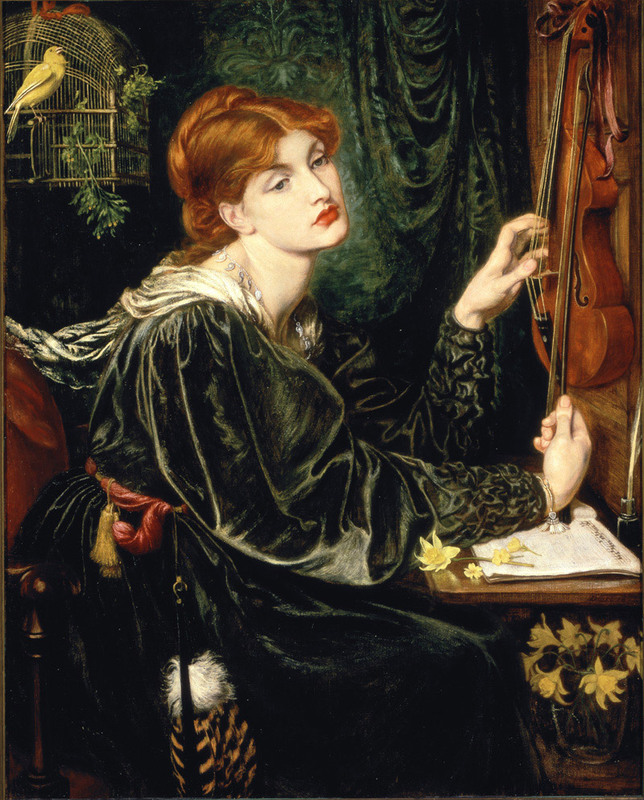 The face of Alexa Wilding is familiar to Rossetti enthusiasts. She is featured in Monna Vanna, The Blessed Damozel, Lady Lilith, La Bella Mano, and may more.